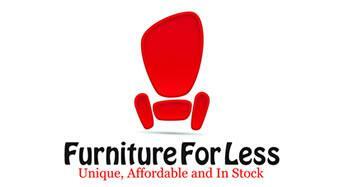 Furniture For Less offers one of the largest selections of name brand furniture in the area. We don't say this lightly.....all brands and model numbers are posted so you can compare and make an educated decision. We NEVER get beat on price. Now open in 2 locations, West Fargo and in the Moorhead Center Mall, combine for over 80,000 sq. feet. With no commissioned sales staff you'll enjoy a more relaxed atmosphere and a more genuine sales person. Furniture For Less is the area's NUMBER ONE mattress retailer. With 4 of the country's largest bedding manufacturers represented and absolutely the lowest prices on quality bedding. Including memory foam, latex and pocketed coil mattresses. In the past 15 years, Furniture For Less has grown faster then almost any other furniture and mattress retailer in the nation, but one thing has held constant....a burning desire to offer the best VALUE in furniture today.